If you’re not behind on your mortgage payments but have been unable to get traditional refinancing because the value of your home has declined, you may be eligible to refinance through the Home Affordable Refinance Program (HARP). HARP is designed to help you get a new, more affordable, more stable mortgage. HARP refinance loans require a loan application and underwriting process, and refinance fees will apply. Determine whether your mortgage is owned or guaranteed by Fannie Mae or Freddie Mac by using their respective Loan Lookup Tools. Use our branch locator to contact a licensed Inlanta Mortgage loan officer near you. Freddie Mac and Fannie Mae have adopted changes to the Home Affordable Refinance Program (HARP) and you may be eligible to take advantage of these changes. If your mortgage is owned or guaranteed by either Freddie Mac or Fannie Mae, you may be eligible to refinance your mortgage under the enhanced and expanded provisions of HARP. You can determine whether your mortgage is owned by either Freddie Mac or Fannie Mae by checking the following websites: www.freddiemac.com/mymortgage or http://www.fanniemae.com/loanlookup/. Last week, the FHFA directed Freddie Mac and Fannie Mae to extend the HARP program for another two years. The program was set to expire for all mortgage applications received on or after December 31, 2013. The new cutoff date will be for applications with received dates by December 31, 2015. Determine whether your mortgage is owned or guaranteed by Fannie Mae or Freddie Mac by visiting their respective Loan Lookup Tools. Use our branch locator to contact a licensed Inlanta Mortgage loan officer near you. Inlanta is approved by Fannie Mae or Freddie Mac. Required HARP Disclosures – Freddie Mac and Fannie Mae have adopted changes to the Home Affordable Refinance Program (HARP) and you may be eligible to take advantage of these changes.If your mortgage is owned or guaranteed by either Freddie Mac or Fannie Mae, you may be eligible to refinance your mortgage under the enhanced and expanded provisions of HARP.”You can determine whether your mortgage is owned by either Freddie Mac or Fannie Mae by checking the following websites: www.freddiemac.com/mymortgage/ or http://www.fanniemae.com/loanlookup/. Yesterday, Freddie Mac announced plans to build on the success of the Relief Refinance Program, which includes the Home Affordable Refinance Program (HARP 2.0). Freddie Mac’s plan is to align requirements for mortgages with loan-to-value (LTV) ratios that are equal to or less than 80 percent with those for mortgages with LTV ratios greater than 80 percent. Freddie Mac is also evaluating the Relief Refinance – Open Access option that enables eligible borrowers with Freddie Mac mortgages to apply for Relief Refinance mortgages, including HARP 2.0, through lenders other than their current servicer. Details are scheduled to be announced to lenders by mid-September so lenders like Inlanta Mortgage can begin taking applications as soon as possible. The pending Relief Refinance Mortgage changes are intended to eliminate operational complexities and streamline the program so lenders can make refinancing more accessible to borrowers with Freddie Mac owned or guaranteed mortgages. The HARP 2.0 component of the Relief Refinance program is targeted to borrowers with LTVs above 80 percent. The program changes are based on lender feedback on HARP 2.0, the enhanced version of the original HARP program announced by FHFA in November 2011. Attribute to Paul Mullings, Senior Vice President and Interim Head of Single Family at Freddie Mac. Contact a licensed Inlanta Mortgage loan professional for more details about the Home Affordable Refinance Program – a.k.a. HARP 2.0. HARP 2.0 was formally released by Fannie Mae and Feddie Mac on March 17, 2012. HARP stands for Home Affordable Finance Program. This program is designed to assist eligible homeowners who have underwater mortgages – meaning they owe more on their homes then what their homes are worth. you must be current on your loan with no 30-day late payments during the six months precending application and no more than one late payment during the last twelve months. If you are interested in finding out if the HARP 2.0 program is right for you, please contact a licensed mortgage loan officer near you for more information. could cost you a lot of money! have direct contact with your mortgage servicer – which they do not. Beware of anyone who asks you to pay a fee in exchange for counseling services or the modification of a delinquent loan. Beware of people who pressure you to sign papers immediately or who try to convince you that they can “save” your home if you sign or transfer over the deed to your house. Never make a mortgage payment to anyone other than your mortgage company without their approval. may be eligible to refinance through HARP. Contact a licensed Inlanta Mortgage loan professional more information on this program. Read more about HARP eligibility requirements here. An FHA refinance loan allows you to reduce the interest rate on your current home loan quickly and oftentimes without an appraisal. FHA Streamlined Refinance also cuts down on the amount of paperwork that must be completed by your lender saving you valuable time and money.Contact a licensed Inlanta Mortgage loan professional more information on this program. Announcing Fee Reductions! – For streamline refinance transactions on existing FHA loans that were endorsed on or before May 31, 2009, the upfront mortgage insurance premium (MIP) will decrease from 1 percent to .01 percent of the base loan amount. This change is effective for case numbers assigned on or after June 11, 2012. Inlanta Mortgage loan professionals can help you identify the best program for your specific needs. Inlanta Mortgage offers Fannie Mae/Freddie Mac agency products, as well as a full suite of jumbo and portfolio programs. The company is fully delegated HUD-FHA including FHA 203K, VA, and USDA approved. Inlanta Mortgage also offers numerous state bond agency programs. Review Inlanta’s mortgage loan programs here. • Only loans owned or guaranteed by Fannie Mae and Freddie Mac are eligible. Underwater borrowers who have FHA, VA or other types of mortgages are not. Both companies’ websites —http://www.fanniemae.com and http://www.freddiemac.com — offer “look up” features that tell you whether they own your loan. • Your mortgage must have been purchased or securitized by either agency no later than May 31, 2009, and must have an LTV ratio in excess of 80%. • You must be current on your loan with no 30-day late payments during the six months preceding application and no more than one late payment during the last 12 months. It must be noted that not all mortgage lenders are participating in this program. By month’s end, most mortgage lenders are expected to “have their HARP 2.0 operations fully up and running,” said HUD Secretary Secretary Shaun Donovan in a February 28th Senate Committee on Banking Housing and Urban Affairs. Inlanta Mortgage is definitely among this group. Am I eligible for the the Home Affordable Refinance Program a.k.a. HARP? Your current loan-to-value (LTV) must exceed 80%. Your HARP refinances are limited to your area’s conforming limits. Conforming limits may vary from location to location but in most cases are $417,000. Cash out refinances are not available with HARP – only rate and term finances are allowable. Mortgage rates for HARP are similar to traditional refinancing and will be determined by your lender. This program is not designed to help homeowners avoid foreclosure, it is strictly designed to assist homeowners who have watched their home values deteriorate during the recent housing crisis. 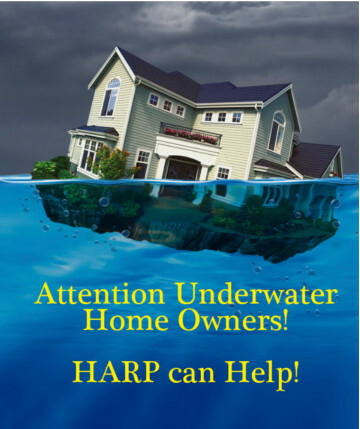 Although it may be a bit before we accept an application through the HARP program as we are still adapting our systems to accommodate the program details – Inlanta Mortgage currently offers the DU Refi Plus and Open Access programs to assist homeowners with underwater mortgages. For more information on the Home Affordable Refinance Program contact a licensed Inlanta Mortgage loan consultant. Find a mortgage loan consultant near you. Inlanta Mortgage operates in fourteen states including Wisconsin, Illinois*, Iowa, Michigan, Indiana, Minnesota**, Florida, Massachusetts, Arizona, Kentucky, Kansas, Missouri, Colorado and North Dakota. Based out of Brookfield, Wisconsin Inlanta Mortgage has been in business since 1993 and offers a variety of loan programs in addition to refinances including FHA, USDA, FHA 203K, Reverse Mortgages, Conventional and Purchase Loans, and VA Mortgages. For more details on mortgage loan programs available through Inlanta Mortgage click here. *An Illinois Residential Mortgage Licensee #MB.0006190, Inlanta Mortgage is regulated by the State of Illinois Department of Financial and Professional Regulation, Division of Banking located at 122 S Michigan Ave, Suite 1900, Chicago IL 60603. Phone #312-793-1409. In a previous blog post, we discussed the White House’s recently announced revisions to the Home Affordable Refinance Program – also known as HARP. To further clarify HARP we have compiled a list of frequently asked questions and answers about this program. A: HARP stands for the Home Affordable Refinance Program. 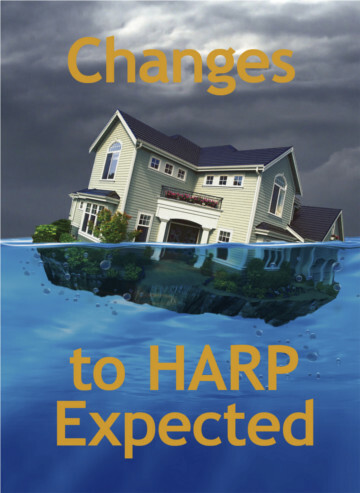 HARP was rolled out in 2009 to help borrowers who were current on their mortgage payments, had loans backed by Freddie Mac and Fannie Mae, and wanted to refinance but didn’t have enough equity in their homes to do so because the value of the home had declined. The HARP program is designed to help qualifying homeowners refinance into a new mortgage at current (lower) interest rates. A HARP loan is a new loan, not a modification of your current loan. Q: What is HARP 2.0? A: Several changes have been made to the program to help more homeowners qualify for the refinance opportunity and help lenders manage the refinance process more efficiently. The program is intended for homeowners who are “underwater” – meaning their LTV (Loan-To-Value) is more than 100%. That means the amount of your current mortgage is MORE than the value of your home, and you may be eligible to explore refinancing your home under HARP. Example: You owe $130,000 on your mortgage (this is your Loan Amount) Yet the value of your home is $100,000 (this is the current value of your home) Your LTV is $130% (you owe $30,000 more than your home is currently worth). Q: How do I know if my loan qualifies for the HARP program? Q: If I have already refinanced under HARP, can I refinance under the program again to take advantage of even lower interest rates? A: Unfortunately, no. Once you have refinanced your home under HARP, you will not have another chance to refinance under the program. Q: How much will it cost to refinance under HARP? A: While the costs to refinance have changed under the new HARP guidelines, each borrower is different and you will need to contact an Inlanta Mortgage loan officer to get specific information about your situation. To request a no obligation free consultation with a licensed Inlanta Mortgage loan officer click here. Q: What kind of loan can I refinance into? A: You must be prepared to refinance into a 30-year fixed rate loan. Q: When can I apply for refinancing under the HARP program? Q: Are second homes eligible for HARP? A: No. The HARP program is only available for your primary residence. Q: What if I have a second mortgage on my home? A: Borrowers with a second mortgage (example: A Home Equity Loan or a balance on their Home Equity Line of Credit) may be able to participate in HARP, your Inlanta Mortgage loan officer should be able to help you determine if your second mortgage owner will agree to “re-subordinate” that loan before you can refinance the first mortgage. Q: How do I know if Fannie Mae or Freddie Mac own or guarantee my loan? A: You can use the links below to help determine if Freddie or Fannie own or guarantee your loan. Q: Who can help me with a HARP Loan? A: Please contact us for more Information about refinancing with a HARP loan. Although program details have yet to be announced, Inlanta Mortgage loan officers are anxiously awaiting forthcoming announcements that will help them better serve you. To find an Inlanta Mortgage loan officer near you, click here. If you have a Fannie Mae or Freddie Mac backed loan and have little to no equity you may still qualify to refinance at today’s low interest rates according to a recently announced initiative from the White House. Is it possible that there is help on the horizon for the more than 10 million homeowners who are underwater on their mortgages? The Home Affordable Refinance Program (HARP) was create in 2009 to assist almost five million homeowners refinance their loans and avoid foreclosure – yet only 822,000 homeowners have benefited so far. This begs the questions….If it didn’t help that many people in 2009 – why should it work now? No More Cap on Underwater Amount – any borrower, no matter how deep underwater, will be eligible for HARP. Lowered Costs to Refi – Elimination of certain risk based fees Fannie Mae & Freddie Mac charged for refinancing and reductions in number of homeowners who need an appraisal, and reduced costs of title insurance should help to reduce cost associated with refinancing. The deadline for the HARP program has been extended to December 2013. The Obama Administration is optimistic that addressing these key issues will help many more homeowners to refinance and save as much a $2,500 a year. To view the formal press release issued by the Federal Housing Financing Agency on the HARP program click here. To speak with a licensed mortgage loan officer and to find out if these major changes to HARP can help you refinance call 877-326-LOAN, visit us on the web at Inlanta.com or click here to find a branch near you.